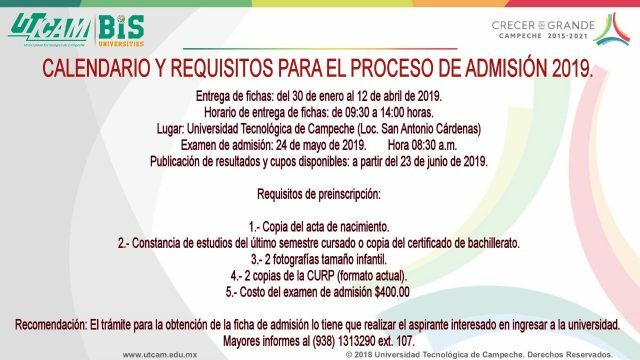 The Advance Technical Degree in Accounting grants the professional competences needed for an efficient performance on a local, regional and national level. Are those that allow graduates to learn throughout their lives and are common to all professional profiles; they are integrated by the capacity for analysis and synthesis, skills for basic research, individual abilities and social skills. Assess the operations of the economic entity applying NIFs to integrate the financial information that serves as the basis for decision-making. Structure the accounting of operations carried out by the economic entity to integrate financial reporting. Integrate the financial statements applying the Financial Reporting Standards to contribute to decision-making. Evaluate the financial information of the economic entity, according to physical rules, procedures and dispositions, to contribute to the decision making in the optimization of resources. To manage administrative procedures in accordance with the taxpayer’s legal framework for compliance with the legal applicable regulations. Integrate the paperwork by means of the taxation procedures established in the legal provisions for the whole lot of the contributions. Integrate the working papers applying Auditing Standards and Procedure, to verify compliance with Financial Reporting Standards. Formulate financial reports through costing systems, for decision making in the optimization of resources. Diagnose the financial situation using the standards established in the theory of the entity’s economic-financial behavior. Public and private companies engaged in the production and marketing of goods and services. Federal, state and municipal public agencies. Your own company providing advisory services (accounting, financial and fiscal). The Financial and Tax Engineering grants the professional competences needed for an efficient performance on a local, regional and national level. Verify financial information in a truthful and prompt manner for proper decision making. To integrate the accounting information that allows understanding of the financial situation of economic entities. Evaluate production, commercial and service costs through different pricing systems. Verify the financial information by applying current auditing regulations. Verify the financial information regarding contributions that allows the economic entity to make decisions in order to optimize its resources. Design the tax model of the economic entity, applying laws in force to comply with its obligations. To implement in the economic entity solutions to financial problems through the diagnosis of the current situation and its future outlook. Diagnose financial information, analyzing financial and economic capital structures to identify areas of opportunity and optimize their resources. Propose financial planning through re-engineering and evaluation of the financial situation in order to optimize future resources. Public and private companies involved in the production of goods and services. Your own company providing consultancy services (accounting, financial and fiscal).